Mala Government Hospital is presently one of the essential medical treatment center for the majority of ordinary people living Mala and neighboring places. It had a Gigantic figure in caring the health of the people is nearing to it's centenary celebrations. In the past there were no hospitals in the surroundings of Mala. There were only local Ayurvedic "Vaidyans" and they treated the patients with Ayurvedic medicines. Kodassery was such a famous place where a famous "Vaidyan" was practicing. There were no adequate transporting facilities and patients had to be carried by man to the distant hospitals for treatment. It was CMI fathers of Kottackal Monastery took a voluntary step in starting a dispensary to reduce the difficulties faced by the people around. 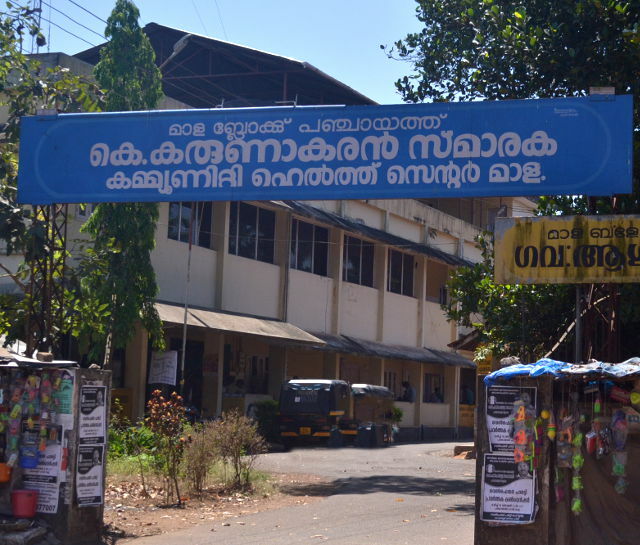 The hospital had a humble beginning in a small room provided by St. Theresas Monastery Kottackal. At that time there was no doctor to check up the patients. Two or three bottles of quoin mixture were there and those who come with diseases were treated according to the symptoms. Later the so called dispensary were handed over to the Government and step by step the present day developments came.